This week I am launching a new series of occasional interviews with artists working in the contemplative/devotional traditions. Many of these artists work within the rich iconography of Buddhism, and specifically with the image of the Buddha. Historically the Buddha is represented as a figure of serene composure, elegance and grace. The eyes look inward, closed or downward cast, the shoulders curve gently into hands held in perfect mudra. A careful ritualized mathematics guides the distance between folds in the Buddha’s robes and the size and placement of snails on his head. The surface is stone-hard or wood, impenetrable. This is a statue, not a man–and certainly not a woman, although Greek influence gives his robes a lyrical sweep and his body is not the emaciated one of early more ascetic representations. Not just the province of practicing “Buddhists,” the Buddha image lives ubiquitously in the contemporary marketplace of imagery and ideas. The popular shorthand for “Buddhism” is the relinquishment of desire and a state of serene acceptance, exemplified by the immobile statue. The statue is an ideal. What happens when society fills its spiritual landscape with an image of an ideal rather than a real? It sets up a struggle, a dichotomy, hazardous and blessed in equal measure. The essence of devotional art is an image and an ideal larger than the human capacity to realize. It is aspirational. And in aspiration is a keen and particular form of suffering: you never get there, you are always leaning towards, but never reaching. Modern life, at least as practiced in America, is about getting there: and it is about getting. There is grasping and a kind of avarice in that. As well, a valuable practical truth and wisdom. The democratic revolutions tumbled the monarchies: we can all consider ourselves kings, queens, or at least the head of our local precinct caucus. Darwin, driving a nail into holy hierarchies, established that we might be on a less than mystical trajectory from birth to death and nowhere does he tell us if the soul is an acquired or inherited trait. Given the melting ice caps we don’t know if we or the sutras will be here in 2020. It is only logical to say: why not now? Why not me? 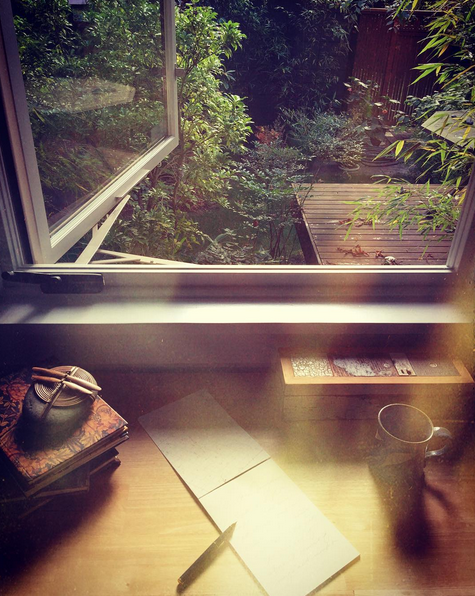 Why can’t I understand in my own terms, and right now, — quickly? The membrane between the modern urgency to leap efficiently from aspiration to getting and a deeper, timeless and more thoughtful understanding is being explored by the artists, writers and other creators reinventing religious iconography on their own terms. Some of them continue in the lineage of traditional forms, repositioning them in modern environments. Others take the sly point of view, working in illustration and advertising, and others work from the ground up re-inventing the very iconographic forms, with their own personal and aesthetic mathematics. Irony is rare, and to me this is a welcome blessing. These artists are not afraid to wear their aspiration on their sleeve. They may risk condescension and accusations of blasphemy from the spiritual establishments, and incomprehension from the secular consumer, and yet they continue on. As someone who has followed the Buddhist path– with some detours– for most of my adult life, I want to talk to these people. The Buddha image in particular has huge resonance for me. I have done and continue to do visual art, or what I think of more properly as contemplative practice, that incorporates the image of the Buddha. This practice has led me towards viewing my own art making, regardless of the subject, as an extension of contemplation, primarily motivated by a desire for insight, beauty and emotional ballast, and secondarily as an object in the marketplace. I look forward to visiting the studios and work of artists with a similar perspective, and to seeing the varieties of ways in which their practice takes form. Please check back from time to see the latest artists interviewed in the category of “The Mystic Muse“, or subscribe to receive this blog in your mailbox. 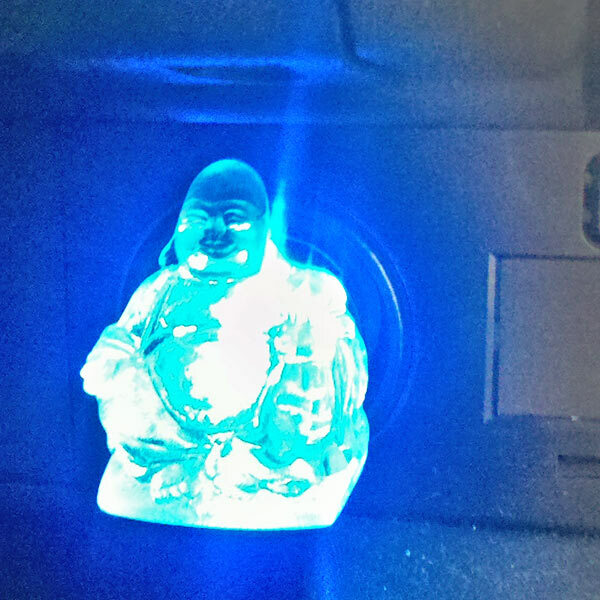 My companion in travels, the plug-in-‘88 Toyota-cigarette-lighter-laughing-while-driving-Buddha. Factory made in a high-stress environment by card-carrying atheists, no doubt. In a transfer print the plate is created by printing files from a computer imaging program like Photoshop onto an acetate carrier sheet. For initial output I use an Epson 3800 with archival ink. After the carrier sheet is sprayed with a solvent the ink becomes liquified enough to transfer to paper or another surface through careful burnishing. Alternatively the plate is pressed by hand or roller onto a sheet of paper that has been soaked with gel alcohol, a solvent that transfers the ink to the paper without harming the paper’s surface. Each paper takes the ink completely differently. Soft watercolor or printmaking papers may absorb the ink with a fair amount of predictability, while others react with magical surface qualities that have a life of their own. The effects range from the dry paper-texture of letterpress to a granulation similar to aquatint or the watery translucency of traditional monoprints. It takes a great deal of repetition and attention to detail to pull one successful print. I have learned that timing, humidity, pressure, and subtle overprinting or vandalism of the same plate multiple times can all have an effect on the image and whether it succeeds. In many ways the moment of printing is like calligraphy in its exactitude, physicality and openness to the accidents of the moment. 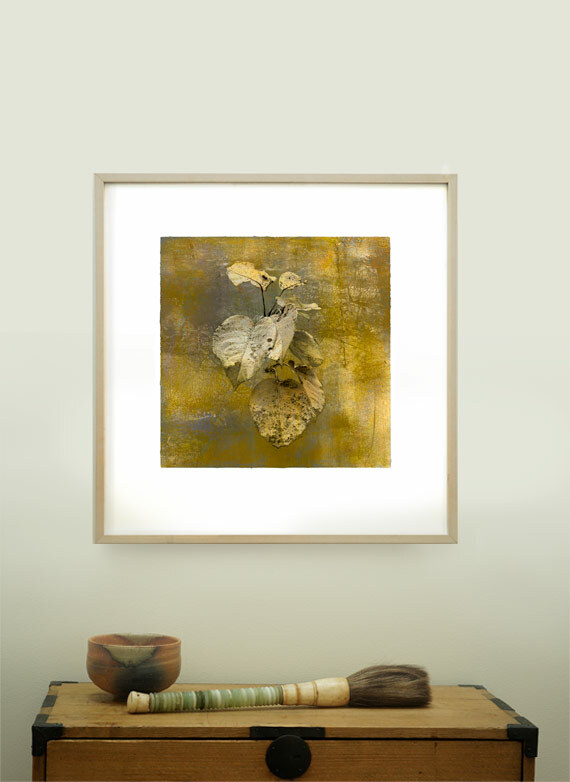 The photographic transfer process allows me to work with the full-color lushness of photographic reality. Like traditional printmaking there is a plate, and it is hands on, but unlike traditional processes you can print all colors at once. I’m really trying to figure out where a photograph lives in the world now. I love the luminous intensity of photography when seen on screen, but when the computer shuts off the image is gone. Photographs on paper don’t have the same back-lit radiance, and unless they are very carefully printed on fine paper, they may feel less like a “print” and more like “output.” In some ways, with the dazzling improvements in retina display, the computer monitor version of a photograph may begin to feel more like the “original” and the paper print the lesser reproduction. Our world now has trillions of images, with more being born every second, an endless stream of brilliant photographic candy flowing across our monitors and phones. The sheer volume and immediacy of images, the constant now leaves no time for absorption (or what used to be called “meaning”) and threatens to wear out our collective synapses. What can a print, a fixed piece of paper, offer in this new world? I am interested in artifact, object, a thing of presence that arrests you, makes you pause, and puts you back in human-centered time. But I also think the human brain is being reconfigured by new technologies, and they can’t really be ignored. The way Photoshop builds images mirrors our minds and how we remember and layer experience. Photoshop also mirrors a printing press, with the ability to stack “plates” in layers, with each layer affecting the one below in truly magical ways that can only be done with this tool. What interests me is how the new media can be integrated with the old, the tactile with the digital. The transfer process is time intensive and very sensual. Every inch of the image is transferred by the pressure of my hand as the damp paper takes the ink from the plate. It can take up to a dozen prints to get one that has just the right balance of subtle surface texture and ink density, and each print takes about an hour to completely transfer. The images layered into the final plate merge digital photographic elements, enlargements of older analog prints, and the other media I work in, such as powdered pigment and paint. It’s exciting to feel that two very different worlds can be integrated. Older ways of making are not “obsolete” — they can be revisioned and combined with the new in ways that reflect the complexity of what it is to be alive in this time.